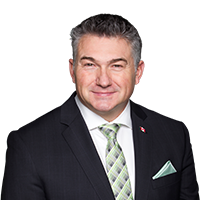 WHAT: James Bezan, MP for Selkirk-Interlake-Eastman, has adopted the Gimli mobile donor centre and committed to recruit new donors and fill appointments to help collect 72 donations at the centre. By adopting a donor centre, Members of Parliament, like James Bezan, can make a difference in the lives of patients in need. WHERE: Lakeview Resort and Conference Centre, 10 Centre, Gimli, MB. VISUALS: Photo and interview opportunity with James Bezan who will donate and greet and thank donors. More blood donors — including first-time donors — are still needed to make the East St. Paul mobile donor centre a success. Download the GiveBlood app, call 1-888-2-DONATE, or visit blood.ca to book your appointment today. Help us spread the word about the constant need for blood. Tag your social media posts with #givelife on Facebook, Twitter and Instagram.